"Mary Hollingsworth's excellent study of the Medici… a careful, understated book, largely uninterested in the grand revisionist statements used to sell popular histories, and it is all the better for it…her book is never short on drama. In fact, it's littered with events worthy of any gangster movie or bonkbuster. Flick to any page and you might find Giuliano de' Medici being stabbed to death by a rival banker in the Duomo in 1478, or Dianora de' Medici and Isabella de' Medici being strangled by their husbands within six days of each other in 1576 - the former, Hollingsworth notes, done in with "a dog leash".It is a striking family portrait, but also, by proxy, a picture of a world that, despite its fine flourishes of art, literature and natural philosophy, was cynical, brutal and precarious.."
" A lucid and beautifully illustrated family history ... she covers with a daunting grasp of the labyrinthine family tree, the dynasty' s full 500 year span." Mary Hollingsworth’s The Medici is a top five bestseller for the second week running in the Evening Standard. Congratulations to Mary Hollingworth whose The Medici is a top Five London bestseller. 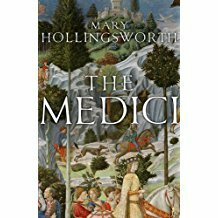 Pegasus have bought US rights in Mary Hollingsworth’s The Medici, a companion to her history of The Borgias. Head of Zeus publish in the UK later in the year and Polish rights have already been sold. 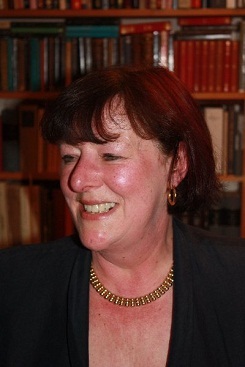 Head of Zeus have bought World English rights in Mary Hollingsworth’s history of the Medici family for publication next year.